35%OFFSALE ***ONEofaKIND*** MissManeater pink crushed velvet V front *** BRAZILIAN cut! High quality HOT PINK crushed velvet with have teamed this with ORANGE bind ties to adjust the neck & back of the garment, but the pant is fixed on the sides. Would be PERFECT for a size SMALL on the top & the pant....but if you are a bigger cup size on your top, that just means smaller coverage. This garment is finished to #maneaterswimwear SUPER high quality, as we have lined this garment front & back with nylon lining. The back cut of this swimsuit is BRAZILIAN cut, see reference image! HOT off the sewing machine!!! 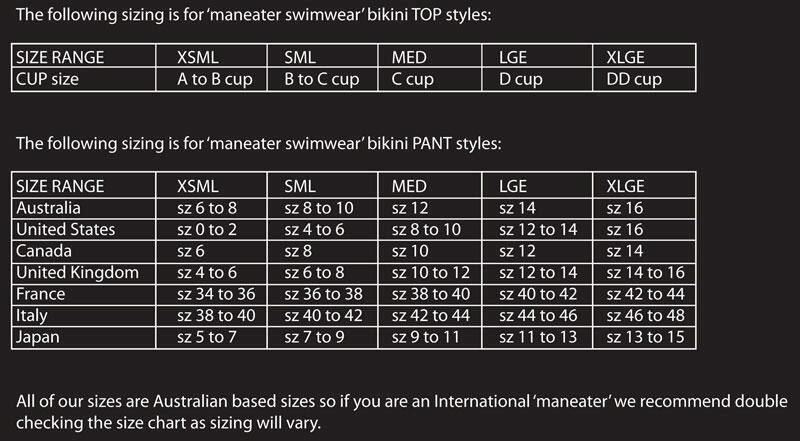 We have created 2 of these ONE OF A KIND designer Miss Maneater swimsuits! Do you have what it takes to be a #maneaterFORLIFE?! ?